The military is under fire for its lax handling of North Korea’s unmanned aerial vehicles (UAVs) spying on key installations. 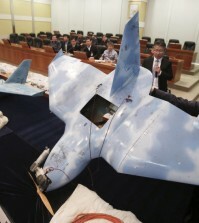 The small sky-blue drone that was discovered in Paju, Gyeonggi Province after it crashed on March 24, showed clear evidence that it came from the North, but the military sat on the find without reporting it to Cheong Wa Dae. Officials also made mistakes that professional crime scene investigators should not have by handling it with their bare hands. 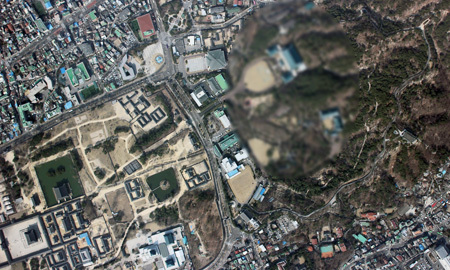 The Ministry of National Defense (MND) said the UAV took a total of 193 photographs, including some of the presidential office and military installations. The MND said the delay in reporting about the drone was because it wanted to leave no room for mistakes. “We conducted a visual inspection first and in order to detect any link to North Korea’s espionage operations, we carried out an in-depth investigation. 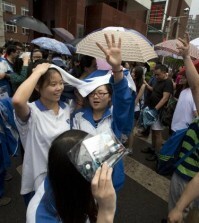 That is why it took some time to report about the incident,” ministry spokesman Kim Min-seok said in a briefing. Despite the majority of assumptions from civilians and the military that the UAV came from the North, the MND did not announce the results of its investigation until another drone crashed on Baengnyeong Island, Monday, raising suspicions that the military may not have reported the detection of other UAVs from North Korea. Along with the late report, the investigators amateurishly left their fingerprints on the drone, which created confusion in the process. An analyst said that of 15 fingerprints found on the UAV, nine of them belonged to investigators, a sign of them being careless. He said the remaining six fingerprints belonged to no South Korean citizen, hinting further at the North’s involvement. Meanwhile, the UAV that crashed on Baengnyeong Island took pictures of other western border islands, the defense ministry said, Thursday. Assuming the 1.83-meter-long drone with a wingspan of 2.46 meters is believed to have been sent by North Korea, military authorities are examining it to see if there is a clear link to the North’s espionage operations. “A preliminary investigation shows that it photographed Daecheong and Socheong Islands,” said a military official. He said that there are military bases on those islands, but it is not clear whether the drone took photos of them. He added that there is an ongoing in-depth examination of the UAV. However, the aircraft failed to photograph the northernmost island before its crash due to a fuel shortage. “The North seems to have miscalculated fuel (for the roundtrip) and its engine stopped over the island,” the official said. He added the military concluded that the UAV crashed in Paju due to engine failure. 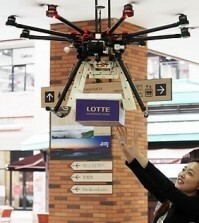 The Japanese Nikon camera-equipped drone from Baengnyeong Island flew at an altitude of 1.4 kilometers at 100 to 120 kilometers per hour. It was equipped with a data transmission system like the Paju UAV, but this was used to control the vehicle and receive GPS signals, not to transmit images, the official said, ruling out speculation that Pyongyang may have acquired its photographs. welcome inquiry me and comapre the price. I find your website from Google. This is Sophia from WING FENG Bags , We are a bag factory specializing in the production of bags and accessories. Our product: LIPO SAFE/GUARD BAG is a very special bag that can contain the fire. So that to help you to keep away from the dangerous of LIPO fire.